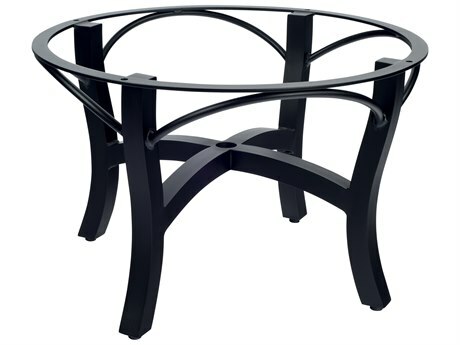 Choosing your patio table base and table top separately provides an opportunity to achieve a custom look that’s truly you, at an accessible price. 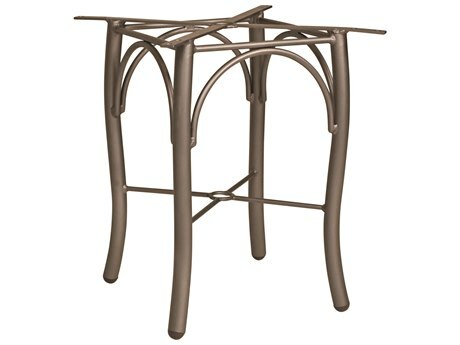 PatioLiving offers a wide variety of outdoor table bases for sale, each featuring distinct aesthetics and benefits. 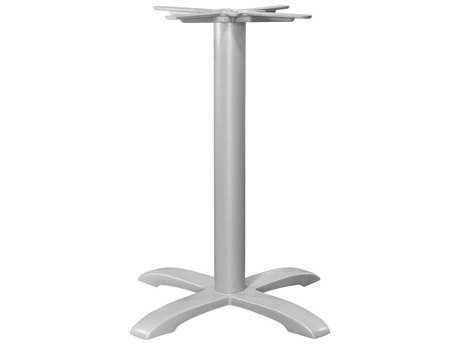 Options include various table types, heights, shapes, and sizes. 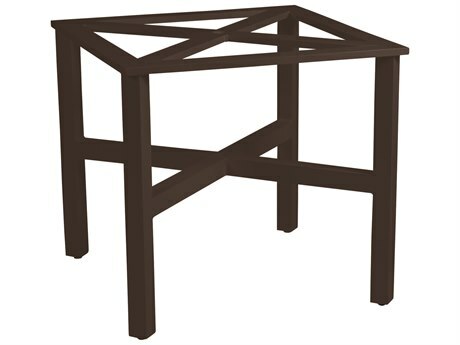 Each base will support numerous compatible tops, making it easy to mix and match and create looks ranging from contemporary to traditional. 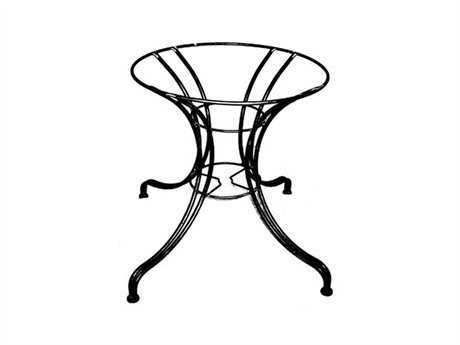 An outdoor table base is suitable for use in almost any commercial or residential setting, and available brands include only premium manufacturers. 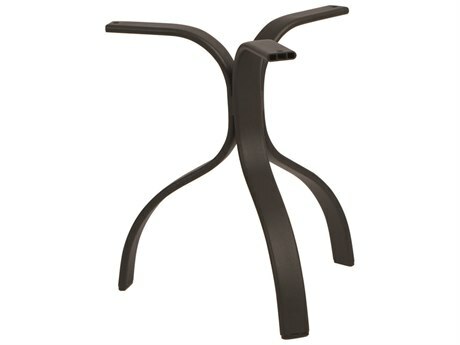 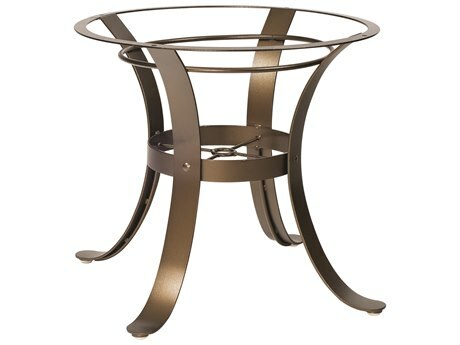 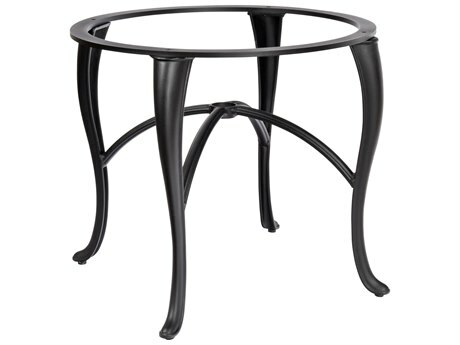 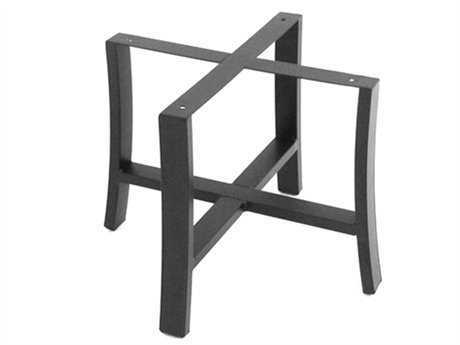 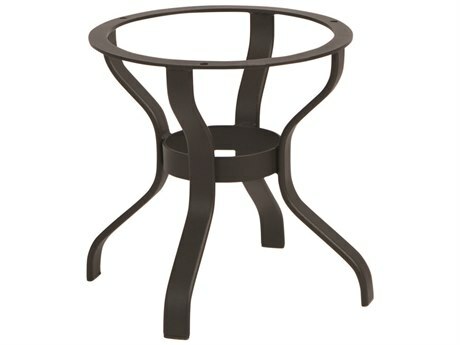 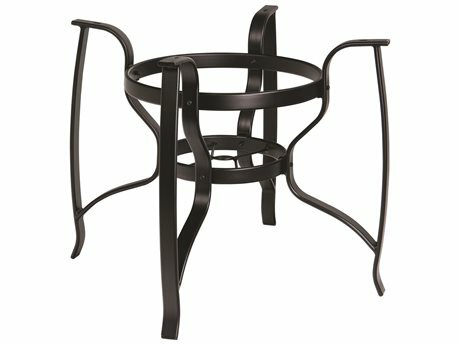 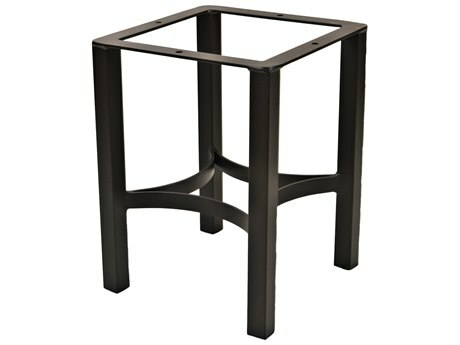 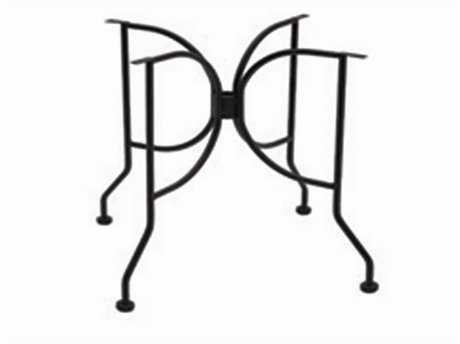 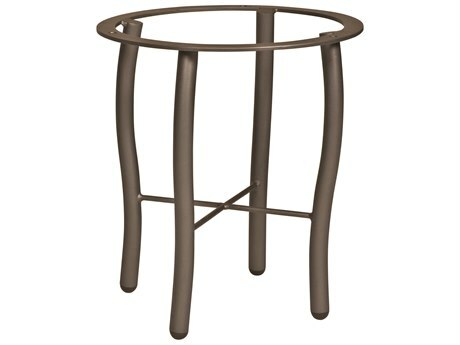 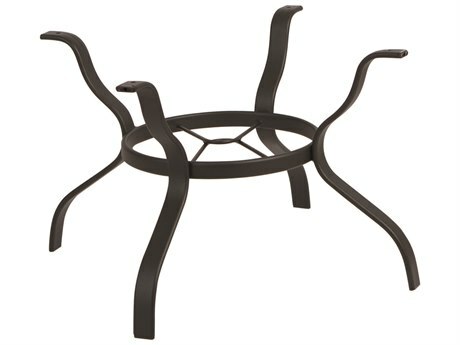 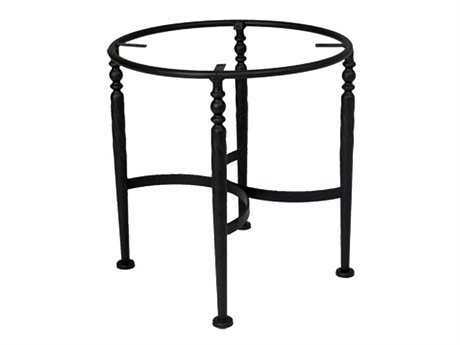 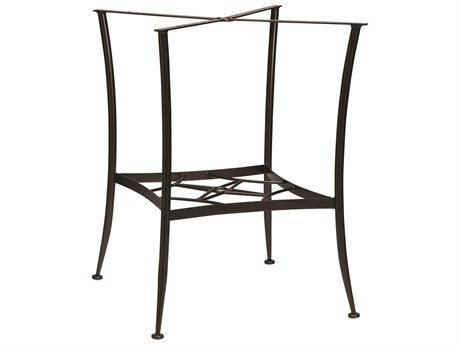 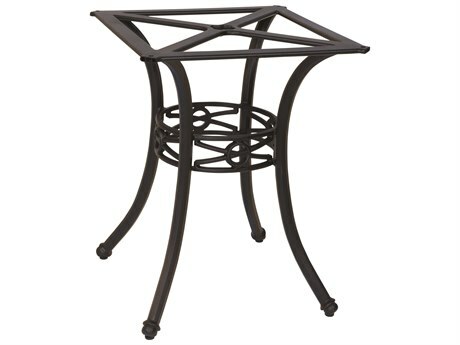 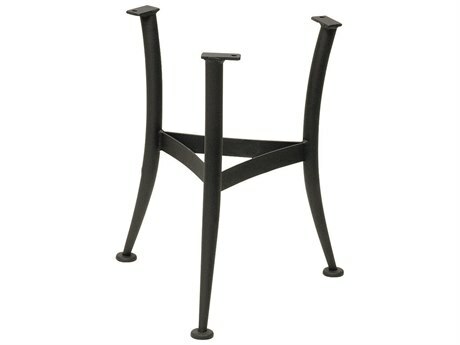 Patio table bases include outdoor styles engineered for various settings and uses. 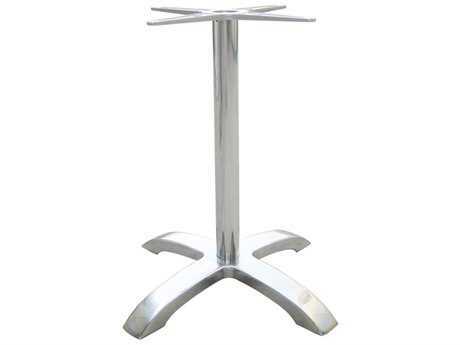 The table bases for sale on our site includes shapes such as round, oval, square, and rectangular. 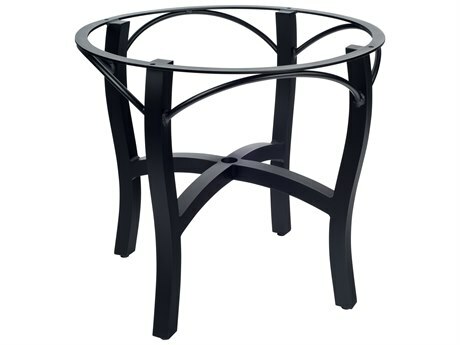 Bases can be sleek and simple in styling or feature curved or intricate designs, bringing an element of decorative appeal to your outdoor space. 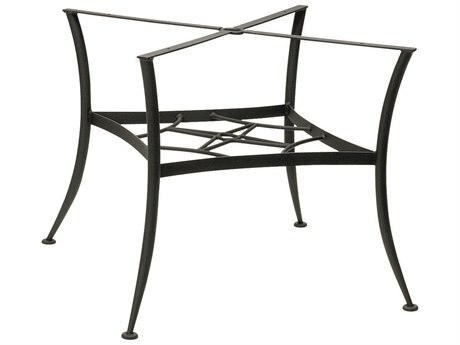 Patio table bases can also include functional elements such as lower shelves, drawers, splayed legs, feet, and enclosed designs. 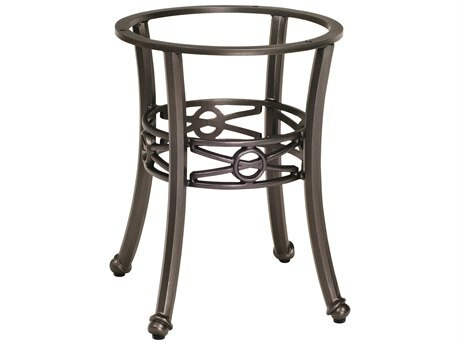 Bases crafted from metals such as aluminum, cast aluminum, and wrought iron are among the most popular options. 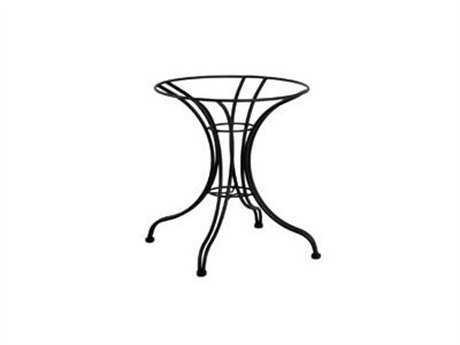 The table bases for sale at PatioLiving can be paired with matching tops for a unified and cohesive look, or more decorative tops including those made from stone or porcelain. 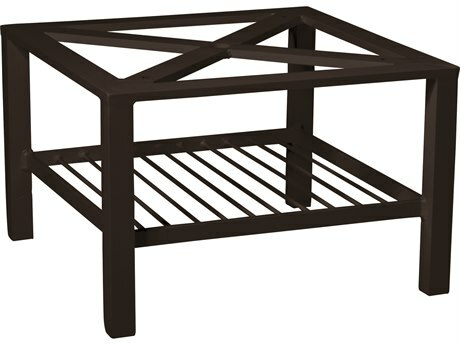 All metal patio table bases are protected from rust and corrosion by an invisible powder coating, meaning they will maintain their appearance and functionality over years of use. 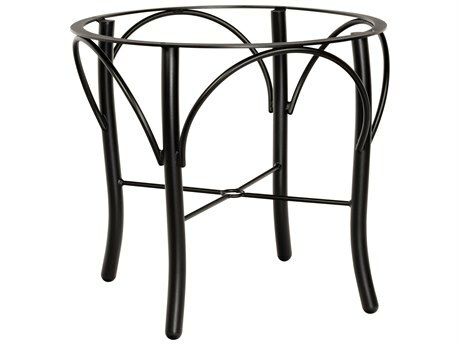 Other available materials include wicker, steel, recycled plastic, and resin. 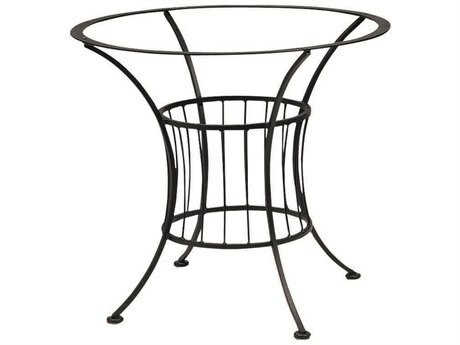 Wicker bases carry the signature woven loom look and are available in numerous color options. 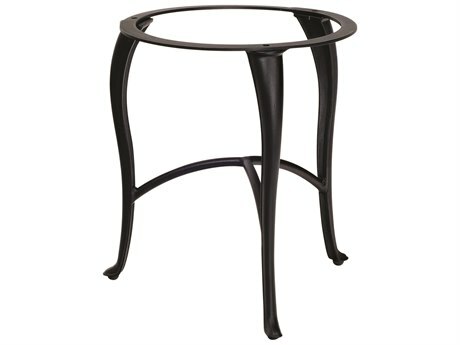 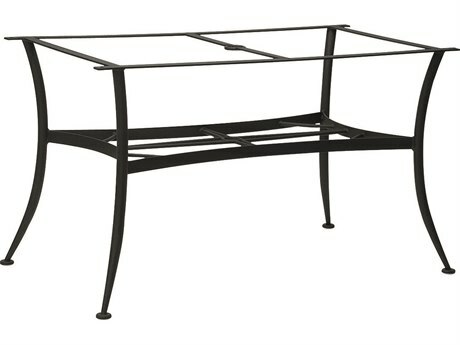 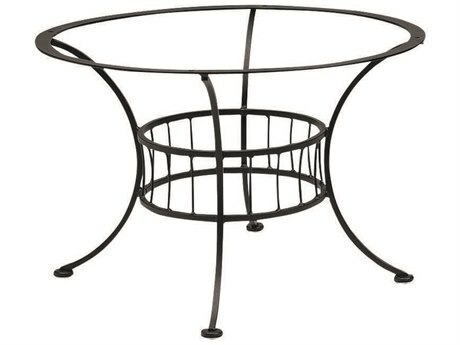 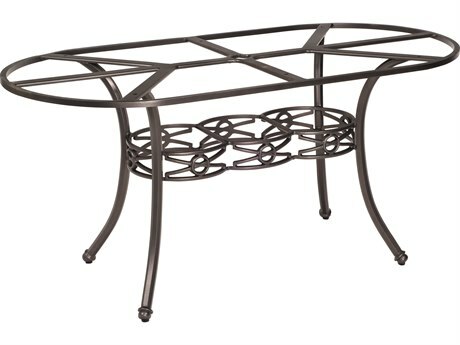 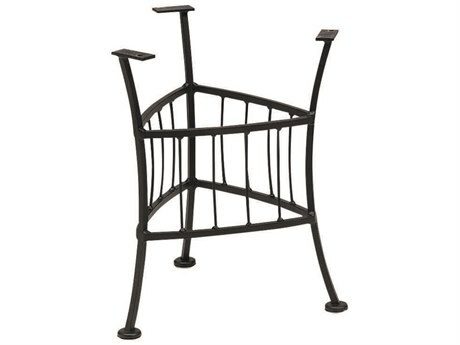 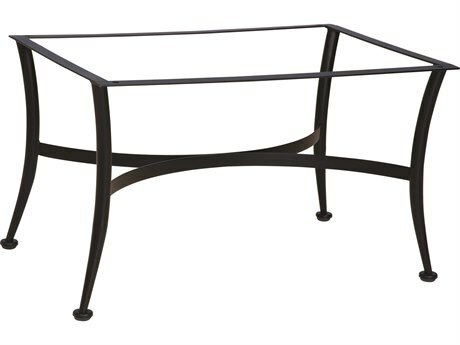 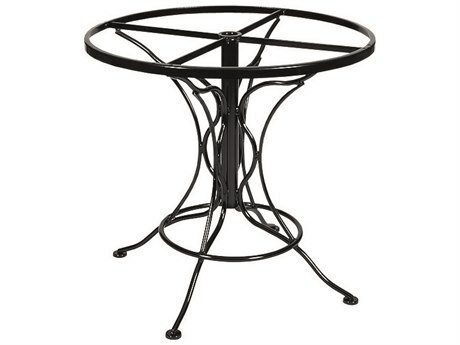 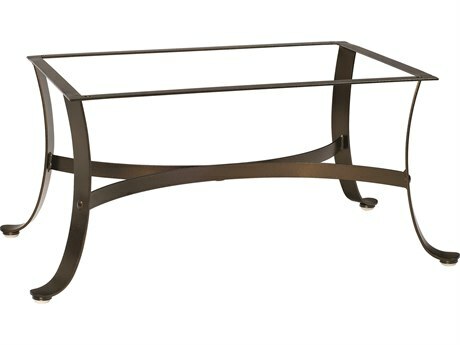 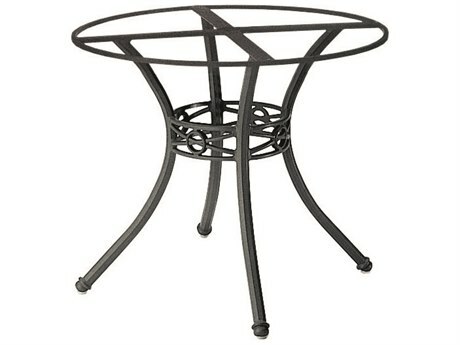 Steel patio table bases contribute to a classic aesthetic and are hefty for stability in windy weather conditions. 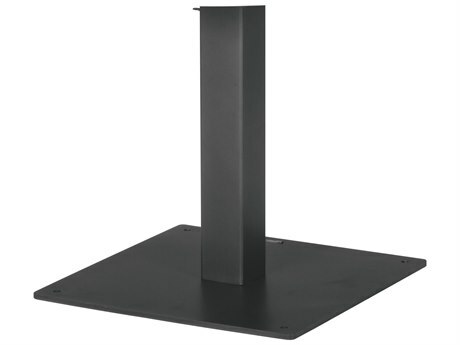 Recycled plastic bases are virtually indestructible. 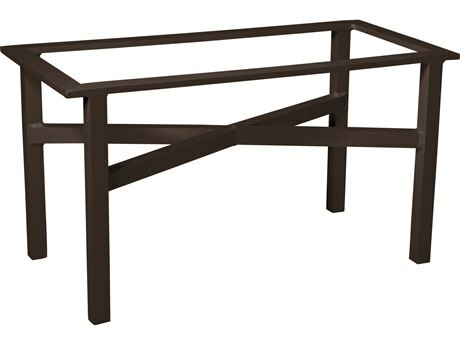 The vibrant colors of these tables will not fade over time and their surfaces are splinter and scratch proof. 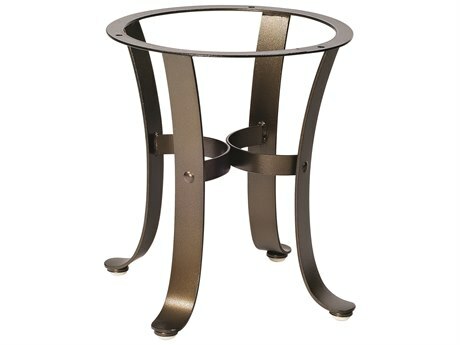 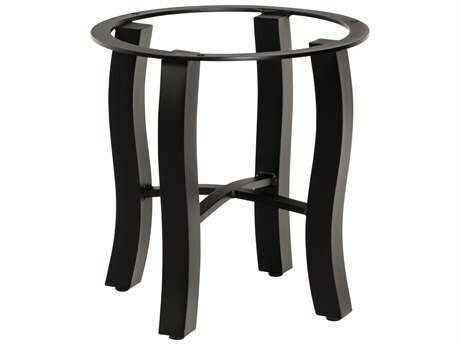 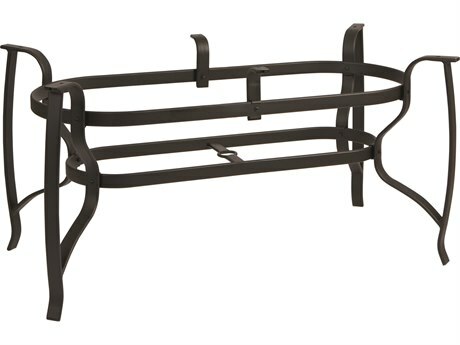 A hand-selected table base can reflect your personality and decorating preferences. 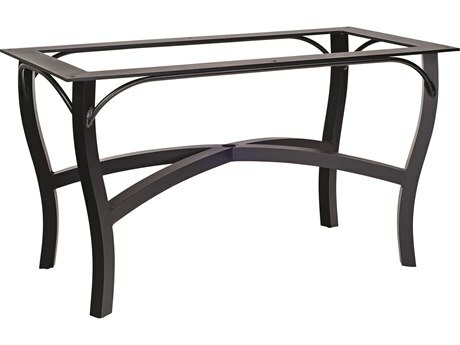 When choosing your base, you can decide on any table style, from bar table, to coffee table, to dining table, then find a base in your preferred size and material. 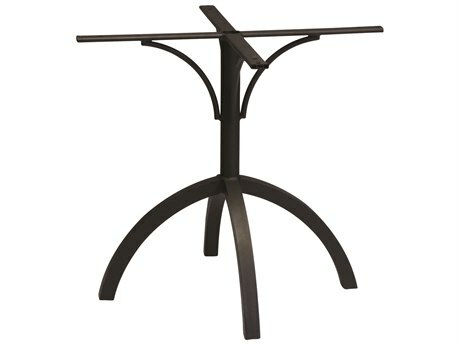 The table bases for sale on our site are designed for durability and strength and can be made to appear more formal or casual depending on what table top you choose to pair with your base. 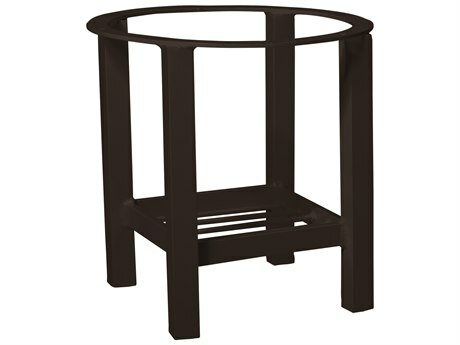 Patio table bases should be considered simultaneously with the tops, as well as the rest of your patio furniture. 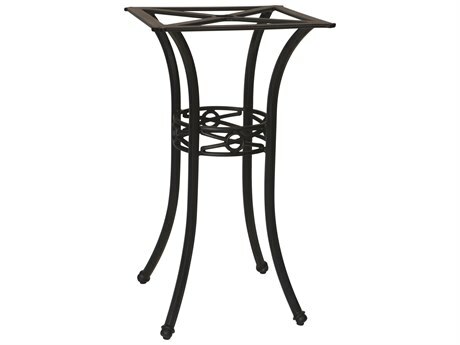 That way, you can be sure to coordinate your table base perfectly with the rest of your set. 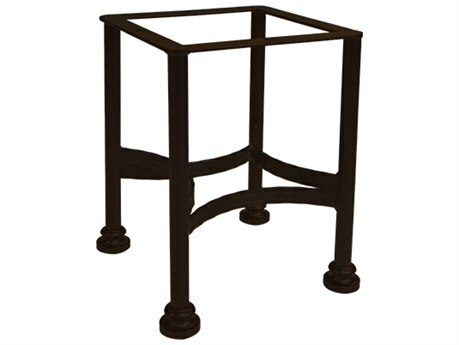 Our extensive collection and helpful filters make it easy to find your desired style of table base and any coordinating table top. 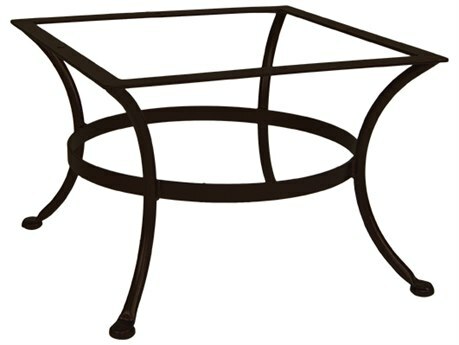 For more information, and to make sure you’re making the best purchase for yourself, you can read PatioLiving’s Outdoor Materials Buying Guide.